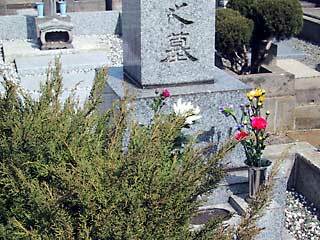 I went to our grave. "Because a garden plant was growth, please care for" notice board was put up in the grave. I was whether it was anything in a desolate feeling.